TWO nations will combine forces for a captivating choral concert as the Wales & Korea Celebration 2016 comes to St David’s Hall on Thursday 15 September. 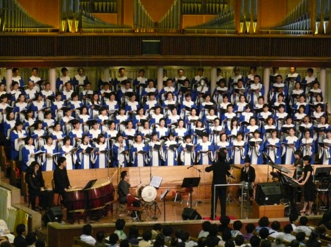 Starting at 7pm, an 80-strong Korean Choir will be joined by Cambrensis Choir, Sound of Wales and Dai Woolbridge to commemorate the legacy of pioneering Welsh missionary to Korea, Robert Jermain Thomas (1839-1866). Delegates from Korea and Wales will gather in this significant year to mark the 150th anniversary of his death. Admission is free, but please phone the Box Office on 029 2087 8444 or book online at www.stdavidshallcardiff.co.uk to reserve your seats.